Contributions were donated from his nieces and nephews. All are graduates of Haverford Senior High School. 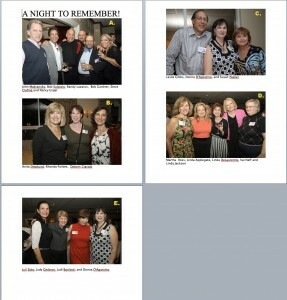 CLASS OF 1967 — We had a 41st reunion on October 4th, at the Llanerch Country Club. To say it was a success would be an understatement. AT least 5 came from CA, 5 from FLA, kids came from ME, AL, IL, MINN, all over. At least 125 classmates came, many for a first time or not since our 25th, 16 yrs ago. This is a very fitting tribute to a well-loved man who devoted his adult life to science teaching and became the country’s best, publicly acknowledged. Johnson, Stanley, HHS Class of 1946, passed away, June 19th,2013. His burial office will be read at St. Thomas’ Church, Whitemarsh, PA, this coming Saturday, June 29, 2013. He is survived by his lifelong wife Sally H. (Sally Haws), HHS Class of 1947. I and my wife (Stella) are members of St. Thomas’ Church and I shared memories with both of them of my wonderful HHS experiences. Rev. Stanley Johnson, a priest in the Diocese of Pennsylvania for over 50 years, died this morning at 4:00 a.m. The burial office will be read for him on Saturday, June 29 at 11:00 a.m. at St. Thomas’ Church, Whitemarsh. Memorial contributions may be made in his honor to the St. Thomas’ Church Capital Campaign.